Miniature Dog Breeds – 4 cute breeds that might be right for you. Many people own miniature dogs, in fact, they are hugely popular for people living in townhouses, apartments or smaller homes. On my travels out and about I see people out walking their wee babies, holding their wee doggies while they are walking and some people even have little doggy packs to carry their doggy because it is so small. 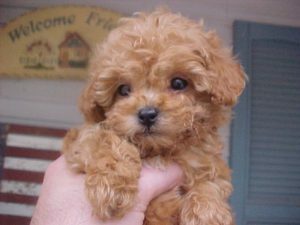 Miniature Poodle – a clever wee dog. Miniature poodles are really intelligent and can be very funny. They used to be used as circus dogs because of their ability and love of tricks. Miniature Poodles absolutely love children and will enjoy hours of play time with them. They are easily groomed and don’t shed hair which is always a plus when it comes to furnishings and clothing. As far as miniature dog breeds go these little fellas are so much fun and easy to keep. Their personalities are fun and more fun, please. Teach me new tricks and I’ll learn them is how these little guys think. Miniature Poodles don’t have a tendency to bark a lot but will let you know if someone is arriving for a visit at your place. Because of their high energy, they will love to go walking, play with a ball or other suitable toys and they will bring you a lot of joy. The lifespan for this wee gem is around 12-15 years so be prepared for a long and fun relationship with your poodle. 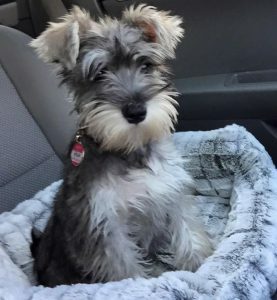 Miniature Schnauzer – what about this little guy? Full of energy and antics, this little guy/gal will be a delight to any family and if you have children, fantastic he/she will have built-in playmates. He/she will give you a “run for your money” due to him/her being really intelligent so please teach your wee friend to do tricks as Miniature Schnauzers have really sturdy legs and love to do tricks. You will want to enjoy walking as these little friends will need around 45 minutes every day especially if you are going to leave them alone while you are at work. A walk will tire them out and they will be a lot calmer. Their lifespan is 12-14 years of being cared for properly so be a good owner and don’t overfeed them as being overweight is not good for them. They are very loyal to their family and will let you know if someone unfamiliar is near your home. The Miniature Schnauzer was bred to be a ratter but people don’t tend to use them for this anymore, although he will still be on alert for any creatures that shouldn’t be in your yard or home. He/she loves other dogs and has no boundaries when meeting dogs, so be diligent as he/she may get onto trouble should he choose to go up to a dog who is not a social dog. All in all these little guys will bring you hours of fun and fond memories as for a long time, as long as you have trained them correctly of course. Puppy school is a very good idea if you haven’t got time as these little guys can be mischievous. 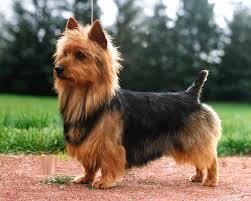 Australian Terrier – a real live wire. Spirited, intelligent, quick to learn this wiry little dog could be just the dog for you. Loyal, fun, kind, protective, easy to groom and a delight to own. Living for around 15 years if loved and treated well this little dog is a joy to own, although he will still get up to mischief given the chance and of course, if training is a lapse. He/she will pick up on your mood, so if you are feeling a bit glum, he/she will be calm and if you are happy and full of life, he/she will be as well. Very loyal to family and will let you know with a sharp bark if a stranger is at your home. When training these wee friends make sure you set boundaries that you want to keep for example, if you let him/her jump up on you, chance are he/she will want to jump up on visitors which can annoy some people so start out as you mean to go on and make sure you use treats for a job well done as this is how these guys respond to lessons. 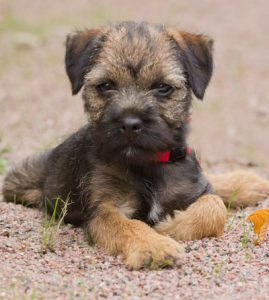 Border Terrier – a great friend. 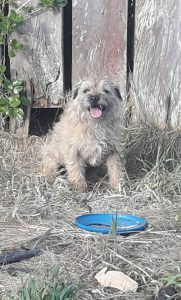 Border Terriers were born to hunt and this can be annoying to some people however these dogs make a wonderful companion. They love to play and they cherish their owner. They are very lively dogs and need a good amount of exercise so get out there and have a long walk with these guys/girls. They live for around 15 years, so put in the training and encouragement to teach them and give them lots of love. They love to be loved. I will be writing about more small breeds as I go along and I hope you have enjoyed this post. If you have any questions please email delightfuldoggies4u.com or leave a comment below.